Is exuding confidence ever easy? Do performers like Ani DiFranco – the headliner for Edmonton’s first Utopia Music Festival – know something the rest of us don’t about being comfortable in your own skin in front of a crowd? DiFranco’s June 17 performance at Hawrelak Park was absolutely engaging. DiFranco’s stage presence is like no performer I’ve ever seen before. Her humility and confidence formed an instant bond with me, and I assume the rest of the audience. DiFranco started her set with no introduction. Soon after sound check finished, the crowd went wild as a petite woman – DiFranco – bounded across the stage to the mike. From the moment DiFranco plugged in her guitar until the final song of the encore, the performance was absolutely riveting. Her easy stage banter, which was hilarious and obviously unrehearsed, shared not only information about what inspired the songs she was about to play, but also personal views and beliefs. The set itself was fantastic. As any fan of DiFranco knows, her musical repertoire is truly impressive. As such, her set ranged from the re-imagined, boot-stompin’ Which Side Are You On to songs resembling folk (78% H20), to genre-defying numbers like Untouchable Face. The common thread throughout every moment of the performance was her uncontrollable energy and genuine joy to be performing. But what else could you expect from an artist who opened her set saying “Do you ever have those days when you show up and you’re like, “wow, this is what I do… this is my job… this is who I am… Thanks for showing up to my job tonight.” No problem, Ani. 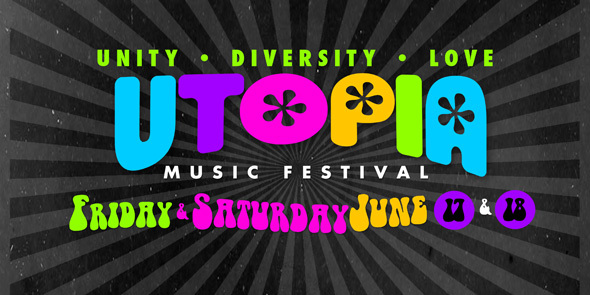 Utopia Music Festival runs June 17 and 18 at Hawrelak Park. Check out http://utopiamusicfestival.ca for more information.